From raunchy Civil War encampments to the dangerous, chaotic days after Appomattox to the precarious life of a Buffalo Soldier west of the Mississippi, Daughter of a Daughter of a Queen is the fictionalized story of Cathy Williams, a real but little-known former slave who disguised herself as a man and served in the U.S. Army as a Buffalo Soldier after the Civil War. While few details are known about the real Cathy Williams, author Sarah Bird weaves a sweeping tale that mixes humor, hope, courage, and gut-churning brutality to bring this forgotten character to life and offer a unique perspective on historical events. As Union General Philip Sheridan sweeps through Missouri pillaging rebel farms and plantations, he mistakes britches-wearing Cathy for a man and takes her as “contraband” from her former master’s tobacco farm. The war is over, the slaves are “free,” but the chain of command has broken down. Bedlam ensues, and Cathy must defend herself from vengeful ex-Confederates and decide what to do next. As a woman, her choices are limited. But as a man, she can earn $13 a month as a recruit in one of the U.S. Army’s new colored regiments fighting the “heathen savages” out west. Seizing the opportunity, Cathy disguises herself as a man, but now must survive the perilous life out on the plains and, worse, her fellow recruits who sense something is off and test her in vicious ways. Feisty Cathy is impossible not to like although at times she seems to have an almost superhuman ability to endure physical pain. As the “daughter of a daughter of a queen,” she draws strength throughout her trials from the spirit of her African grandmother to persevere and even find love in unlikely places. 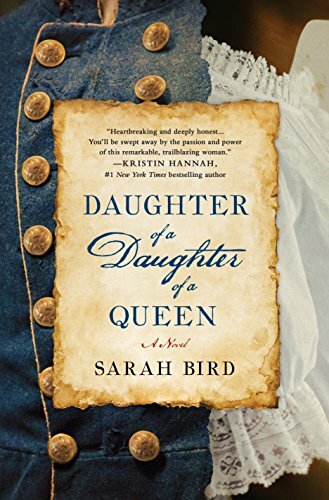 Daughter of a Daughter of a Queen is a unique story told from a unique point of view that shines an entertaining light on an overlooked piece of history.